Meet a few of the characters from Marvel’s Guardians of the Galaxy: Groot, Drax, Rocket, Peter Quill, and Gamora. Directed by James Gunn who also co-wrote the film along with Nicole Perlman. 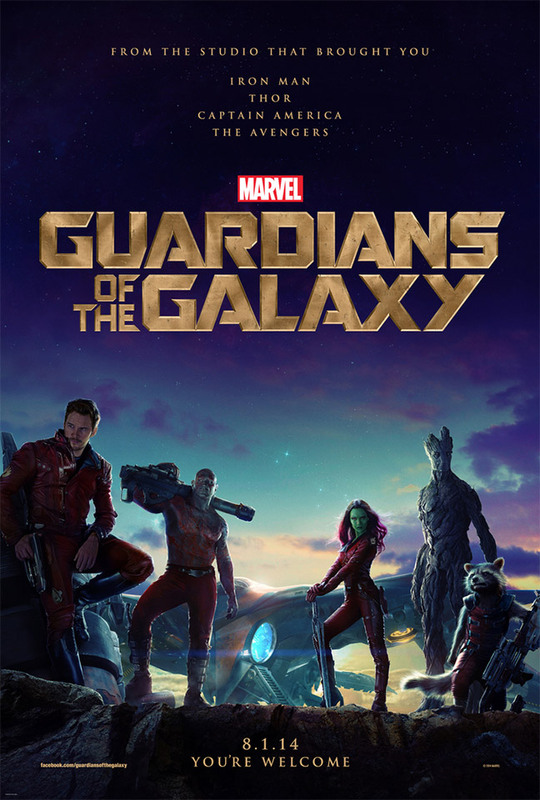 The film stars Chris Pratt as Peter Quill aka Star-Lord, Zoe Saldana as Gamora, Dave Bautista as Drax the Destroyer, Lee Pace as Ronan the Accuser, Michael Rooker as Yondu, Karen Gillan as Nebula, Djimon Hounsou as Korath, Benicio del Toro as The Collector, John C. Reilly as Rhomann Dey, and Glenn Close as Nova Prime.